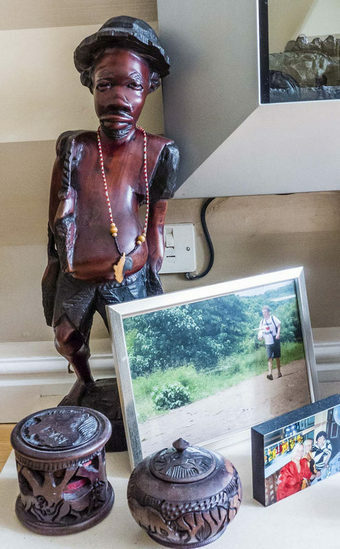 Ann's chosen object was a figurative wooden carving brought back from Malawi by her son who had given his possessions in exchange for the sculpture. 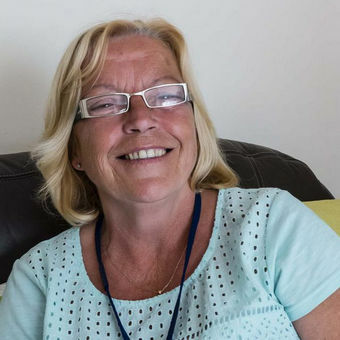 As well as being a mother, Ann is the Family Liaison Worker and a key figure at the West Everton Community Council. 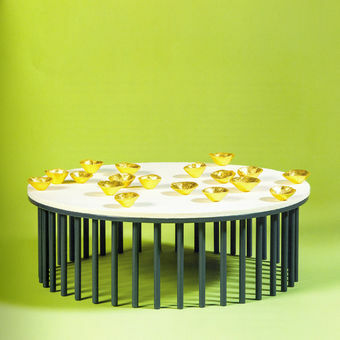 The materials and form of the sculpture made for her, which are steel, felt, porcelain and gold leaf, refer to resilience, fragility, community, protection and warmth. The mild steel sub-structure was made locally on Liverpool's Dock Road using materials and fabrication methods reflecting the traditional industries and employment of the area. Although the artwork made for Ann is not figurative, the eighteen vessel forms allude to the concept of "community".